Just a few minutes before I have to catch my train and flight to Basel! Together with my friend Frank from Monochrome, I’ll be visiting a lot of brands and will give you quick updates from location. Make sure to keep an eye on Perpetuelle, the watch forum by Kyle Stults, who made it possible for Frank and me, to get so much appointments with all the big names. My old love, Omega, has quite a few suprises this year! Besides the Omega Speedmaster Professional 40th anniversary edition (which I already have in pre-order at my friend Alon from Acejewelers.com), there is also the new PloProf (Plongeuer Professionnel) re-edition. To be honest, this re-edition looks mighty cool on the press pictures. The old one, dating 1971, is becoming scarce and prices are raising ever since the OmegaMania auction. 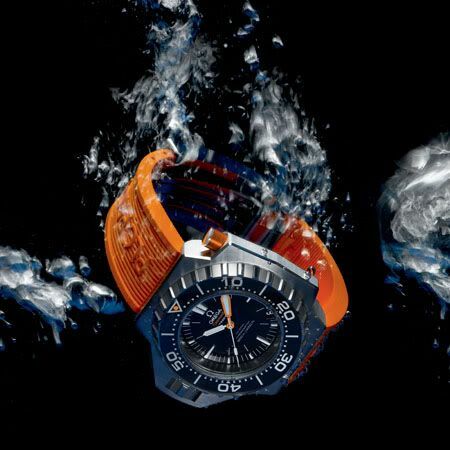 The new Omega Seamaster PloProf will be water resistant up to 1200 meters and feature the inhouse Omega caliber 8500 movement. Below you’ll find the press photo of the new PloProf and a picture of the Speedmaster Professional 40th Anniversary edition by James Dowling (Rolex Moderator at TZ). Oh yeah, the introduction of the Speedy 40th Anniversary edition will be done by the astronauts who have walked on the Moon ?¢?Ç¨?Äú Buzz Aldrin, Charles Duke, Harrison Schmitt and Eugene Cernan ?¢?Ç¨?Äú and another, Thomas Stafford, who has orbited it. 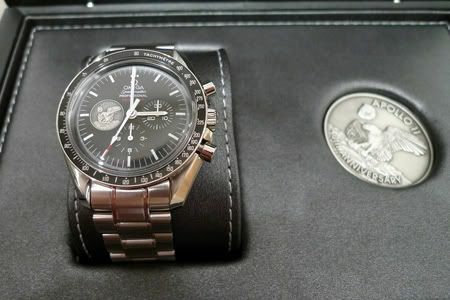 This impressive line-up will also include Gerald Griffin, one of the lead flight directors for the Apollo missions and Jim Ragan, the aerospace engineer who was responsible for the chronograph tests which led to the selection of the Speedmaster as the only watch qualified for every manned space flight. Enough with the everlasting enthusiasm, I have to go… 🙂 Keep an eye on us for more BaselWorld 2009 Omega news.